It sometimes happens that bands write their best songs early in their career. 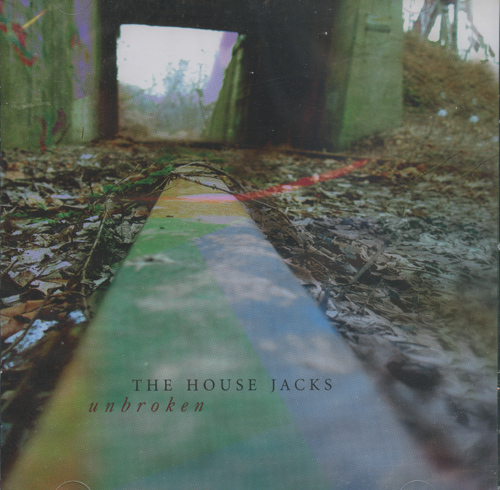 However, the House Jacks new CD - their first with wholly original material in several years - proves that those generalities don't apply here. Maturity can be a good thing! "Unbroken" contains their best writing since, well, maybe ever, with compositions from every member (including Austin Willacy, who's back). The strength of their material shows that marriage and family can contribute in positive ways to artistic development, as in Deke Sharon's joyous nod to fatherhood, "Adventure Day." The vocal chops of the Jacks have always been in the upper of the upper echelon, but now their performances are translating to CD with new passion. Part of the credit is due to the production - it's BIG. So every nuance of those trademark harmonies shines through, and the vocal bass and drum tones are brilliant. Take, for example, the title track: it's powerful, evocative, and could match anything heard on modern rock radio. The House Jacks early promise was just a taste of things to come.